Here’s what’s happening in the world of television for Friday, December 29. All times are Eastern. Black Mirror (Netflix): Here’s how bleak things seem these days: Black Mirror no longer automatically feels like the darkest timeline. Still, the Twilight Zone-esque series is back for a fourth season (the second produced by Netflix) of dystopian parables about the dangers of technology in our increasingly fragmented world. You can check out Zack Handlen’s reviews of the new season starting today. Bill Nye Saves The World (Netflix): If you want to stick with Netflix but choose something a little less cripplingly dark, why not go with the exact opposite? 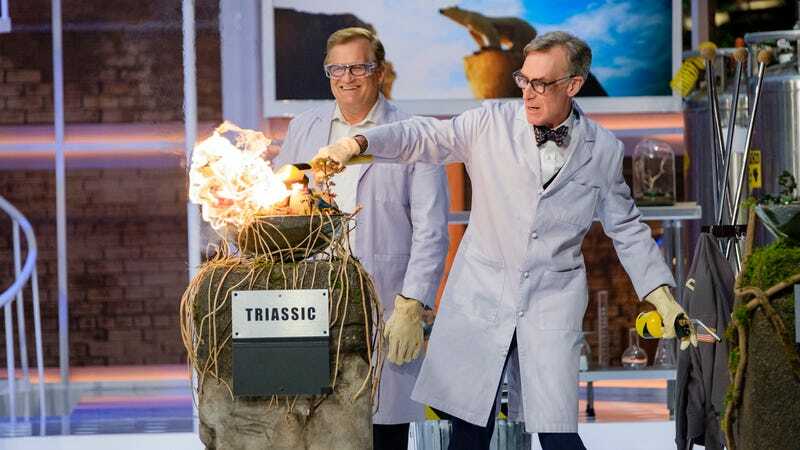 Season two of the titular science guy’s show also drops today, meaning plenty of affable lessons in cool science stuff are now yours for the streaming.